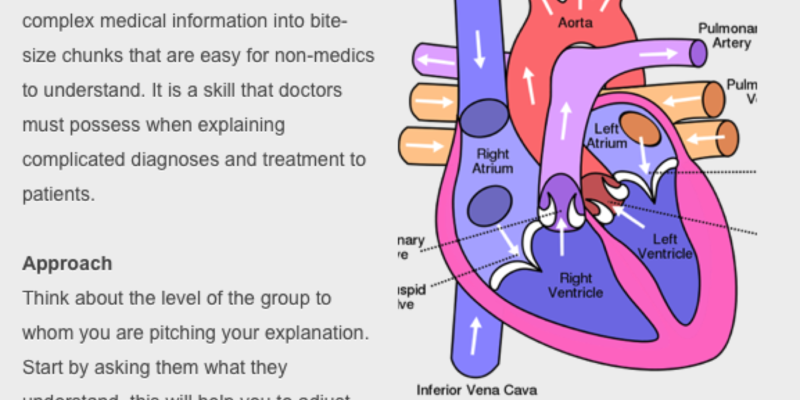 All questions are copyright of www.getmeintomedicalschool.com and Meddicle Ltd. Here at Get Me Into Medical School! we appreciate that organising realistic interview practise can be difficult. Our Virtual Interview Question Bank allows you to access a large volume of practice interview questions that you can use to test yourself. Each question comes with a comprehensive explanation and example answers and offers insider tips from current interviewers. Our Virtual Interview Question Bank features frameworks and interview advice to help you succeed in both MMI and Traditional formats. The question bank is truly responsive meaning that it works equally well on mobiles, tablets or home computers. 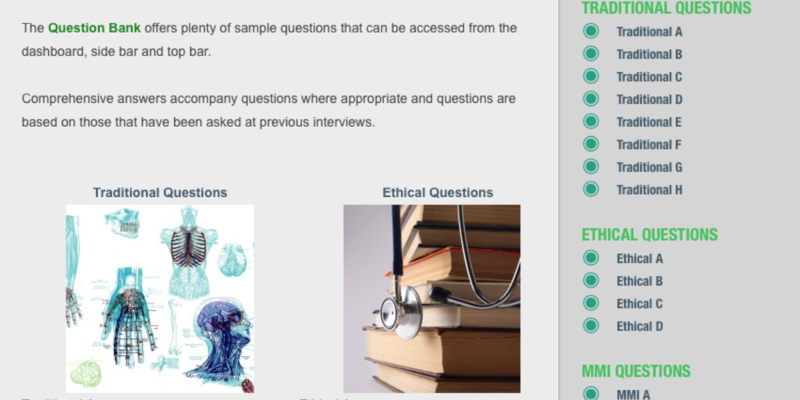 Medical School Interview Questions can be accessed from anywhere there is an internet connection meaning you can revise for the orthopaedic interviews between theatre lists at work, on the go or in the comfort of your own home. Payment is safe and secure via Paypal, no Paypal account is required and no payment details are held online by Get Me Into Medical School. 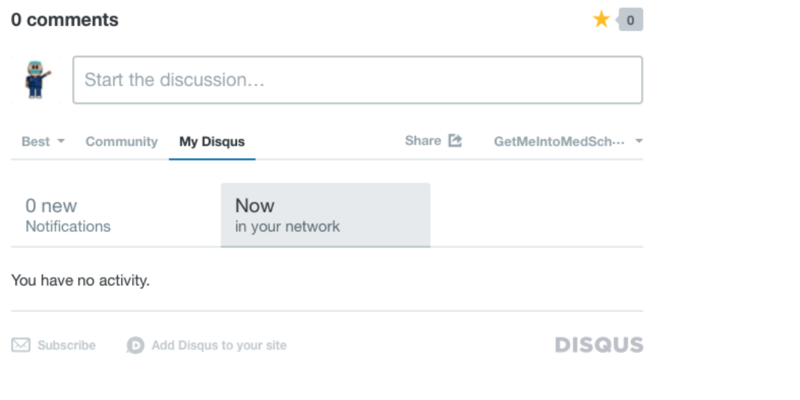 The Dashboard is the hub of the Medical School Interview Questions Bank and features interactive, intuitive navigation links making it easy to access questions. 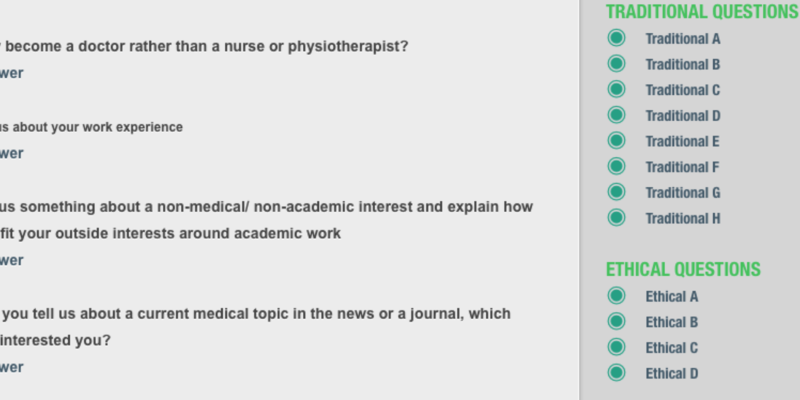 The medical school interview questions themselves are interactive and case-based and include frameworks, example answers and tips from students ad interviewers. If you are struggling with a question our tutors can be contacted via the moderated comments area which can also help stimulate discussion between your peers. Purchasing access to the Question Bank is for single person personal use only. If you are a school and would like to purchase a bulk subscription please contact us. GMIMS Medical School Question Bank costs £50 for 6-month access. We offer a number of discounts for schools to purchase longer subscriptions for students. If you are a teacher please contact us. 4. What happens after I buy access? After purchasing access via Paypal an automated email will be sent to your Paypal email address containing your login details. Occasionally email filters send the automated email to your junk or spam folder. Please check these folders within your email client.